This module introduces you to the new layout and interfaces in Word 2010. In this module you will see many of the new features and formatting enhancements of Word 2010. This module outlines the basics functions of Word 2010, from creating a new document and formatting text to changing page margins and moving around your document. In this module you will see the features of the new Navigation Pane such as headings management and learn how to find text and objects within the document. Visually effective documents stand out and in this module you learn about the new features which allow for greater image and photograph manipulation without leaving Word 2010. This module guides you through organizing your document with Headers and Footers to allow for structures such as page numbers and time & date to be included and updated. To allow readers of your document to find their way, this module outlines the various methods of creating and formatting a Table of Contents. In this module you will learn the techniques for creating documents which are more accessible to people with disabilities such as visual impairment. This module contains many shortcuts and useful features within Word 2010, like zooming in and out using you mouse. In this module you will learn many of the keyboard short cuts in Word 2010, using both Access Keys and Key Combinations. 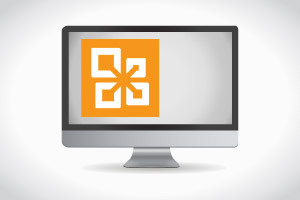 In this module learn why you should make the switch to PowerPoint 2010. This module reviews the new features of PowerPoint 2010. Learn how create your first PowerPoint presentation. In this module learn how to add photos to a PowerPoint 2010 presentation. Learn how to insert video into a PowerPoint 2010 presentation. In this module learn how to broadcast your PowerPoint 2010 presentation. In this module learn how to add charts and SmartArt graphics to your PowerPoint 2010 presentation. Learn how to create animations and transitions in your PowerPoint 2010 presentations. This module reviews keyboard shortcuts for PowerPoint 2010. In this module learn tips and techniques for effective use of PowerPoint. In this module you will be introduced to Access 2010, shown how to navigate the ribbon, save files as ACCDB (2007/2010) files and how to use database templates. This module shows you how to create and design a good database, starting with planning. You will be shown the different keys and data types. And also saving, adding and navigating through your data. You will learn to create relationships within your tables to bring your data together here. Also how to extract meaningful information from your database using queries. Here you will learn to create forms to make your database look more polished. Then you will learn to create reports to represent your data visually. This module helps you to create, edit and publish your database for online use to the Microsoft SharePoint Server. You will find out also how to use web browser controls to display web pages in an Access 2010 database. This module teaches you the keyboard shortcuts you can use in Access that will help you to gain a quicker workflow. In this module learn why you should make Outlook 2010 your emailing and personal information management system of choice. In this module learn more about the new features and functionality of Outlook 2010. In this module you will learn about the Outlook Calendar and its features. In this module learn how to manage your information and create RSS web feeds. In this module learn about organizing messages and automatic replies. Learn more about electronic business cards, e-mail signatures and Instant Search. In this module learn how to organize with templates and views. You must score 80% or more to pass this asessment.